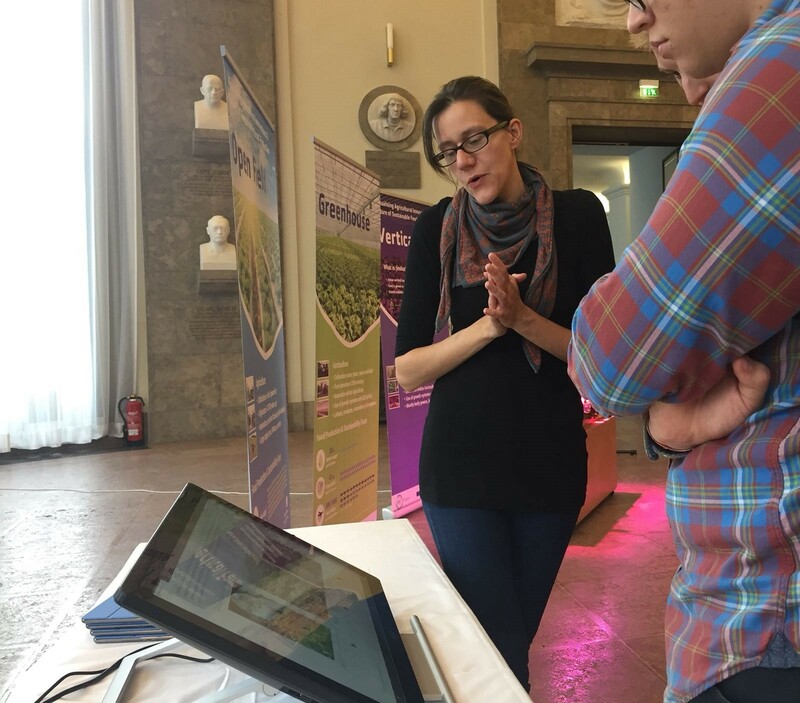 Researcher Mascha Gugganig gets to the root of the Citizen Participation Forum held at the Deutsches Museum in Munich in July 2018. Mascha Gugganing is currently leading on the EIT Food-funded project on cultivating engagement with citizens through the topic of vertical farming, a specialised method for growing plants in local and urban areas. 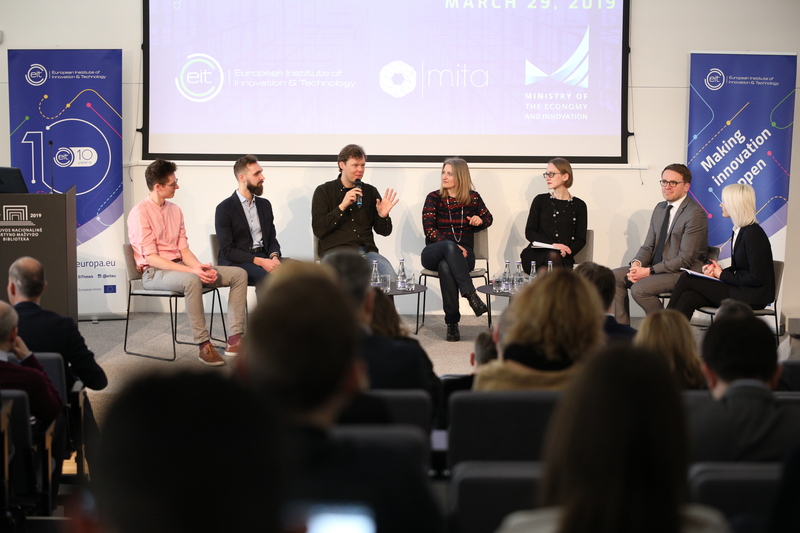 The project is a collaboration between the Technical University of Munich (TUM), PlantLab, a Dutch company specialising in providing indoor vertical farming systems and services, and the European Food Information Council (EUFIC). Mascha explains that the aim of the project is to gain a better understanding of the views of vertical farming amongst producers, consumers, scientists, civil society groups and the wider public. A key element of the project is the delivery of a Citizen Participation Forum (CPF) to help foster an open dialogue with the public on new technologies in food production. 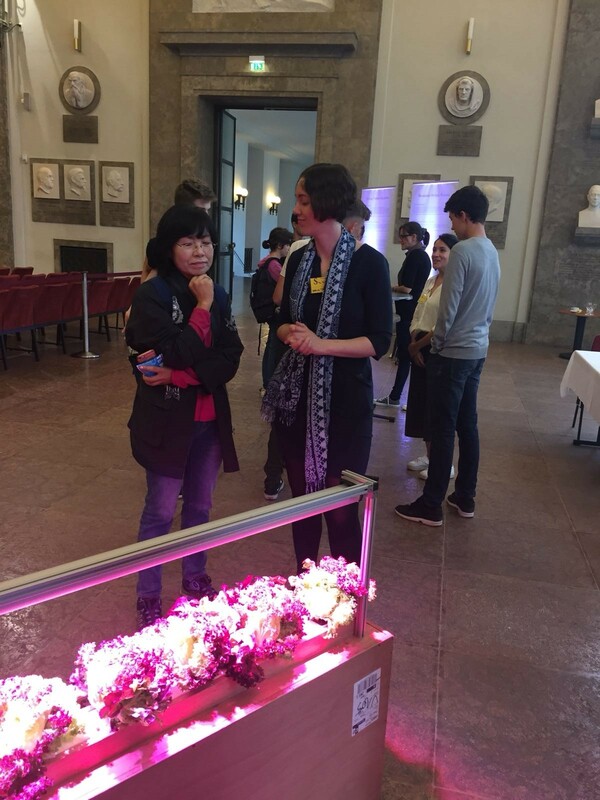 The first CPF was held over three days at the Deutsches Museum from 5th-7th July, with the second event planned for the London Science Museum in October 2018. The project team deliberately designed the CPF so that it was as open and general as possible to engage as many people from diverse backgrounds. 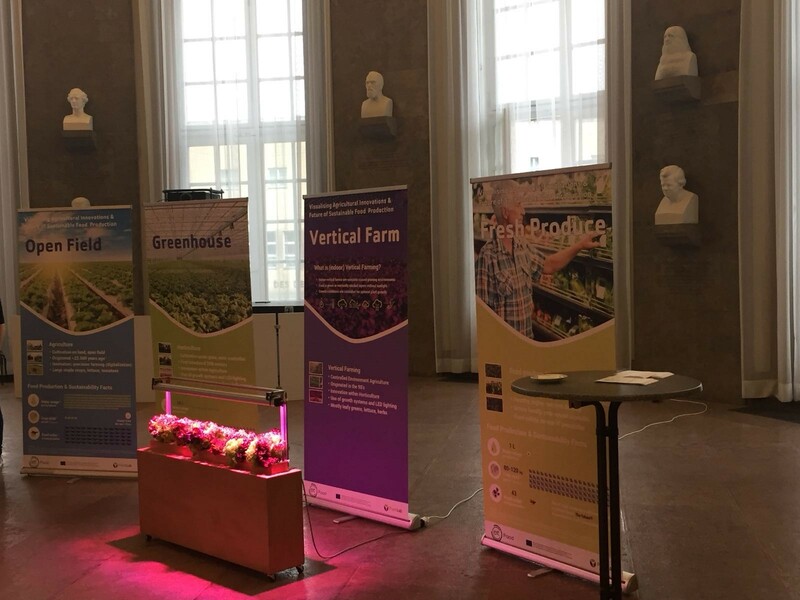 This meant that there were no workshops, no speakers delivering presentations, nor any tools that they thought would influence citizens’ opinions on vertical farming. Therefore “the goal was not to find out if people understood vertical farming or not, but to understand the issues that arose from engaging in the topic and to get a sense of what people associated with vertical farming”. 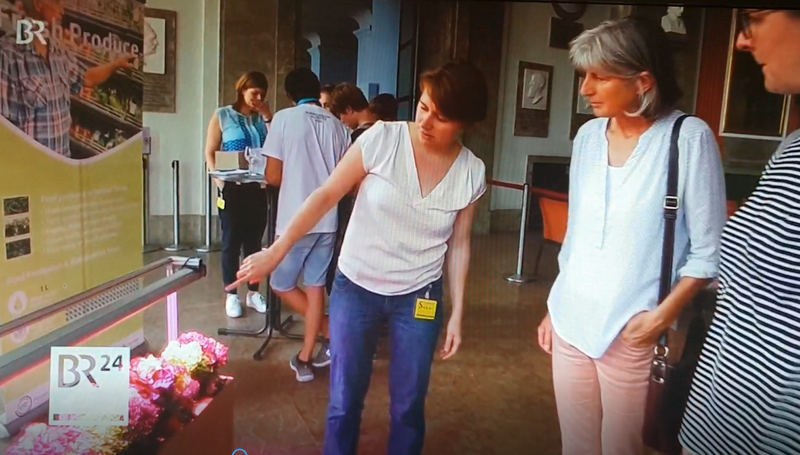 In order to engage with citizens creatively, the team offered museum visitors the chance to engage with a novel form of engagement, an Instagram Tool to ‘Re-vision Vertical Farming.’ This tool would randomly select images from Instagram that had been identified with vertical farming (via #verticalfarming). They then asked participants to scroll through the images and select the three that they most closely associated with vertical farming. They were then asked to explain why they had chosen these images and to tell the researchers if they had heard of vertical farming before participating. In this way, Mascha explains, “participants were able to choose their own way of associating with vertical farming, rather than having their perceptions influenced”. The project team were also invited to record field notes of the conversations that they had to add some qualitative insights to the quantitative data collected from the Instagram selections. Mascha was unsure how people would react to being engaged on this topic but was pleasantly surprised to find that generally people were willing to talk to the project team. Many people were initially quite sceptical, but when they started talking they wanted to know more and had a number of questions, often about how the technology of vertical farming worked. Mascha argues that if you want to convince someone of the merit of technology & innovation in the food arena and more generally, “the key is to avoid trying to only feed people information on a topic until they accept it”. She reflects on the public backlash against ‘Mad Cow Disease’ in the UK in the 1990s and it proves to her that people are concerned about food transparency, in so much as they want to know how the regulatory system ensures that food producers are being held accountable. They also want to be engaged in such a way that allows room for understanding food on their own terms. This includes, for instance, what ‘healthy’ and ‘sustainable’ food actually means, as the consumer definitions of these often do not follow the standardised ones put forward by regulatory, dietary or industry authorities. As for the food industry, Mascha believes that it needs to avoid falling into the trap of thinking that there is a lack or deficiency of public information on a topic and then focusing efforts exclusively on giving this information to people. She feels that all this actually achieves is, conversely, to switch people off from the issue. It is unclear at this stage if vertical farming will be the silver bullet solution to our global food challenges. From her perspective, Mascha sees it as a strong ‘educational moment’; a new approach combining different technologies that pushes us all to ask questions about our food system more generally, such as ‘where does our food actually come from?’ The value of engaging citizens on vertical farming is therefore that it invites us all to open the door to explore new aspects of the food sector, and to ask the public to walk through that door with us. The next Citizen Participation Forum on vertical farming will be held at the London Science Museum on 24-26 October so please come by if you are in the neighbourhood. You can also participate via the Instagram Tool. 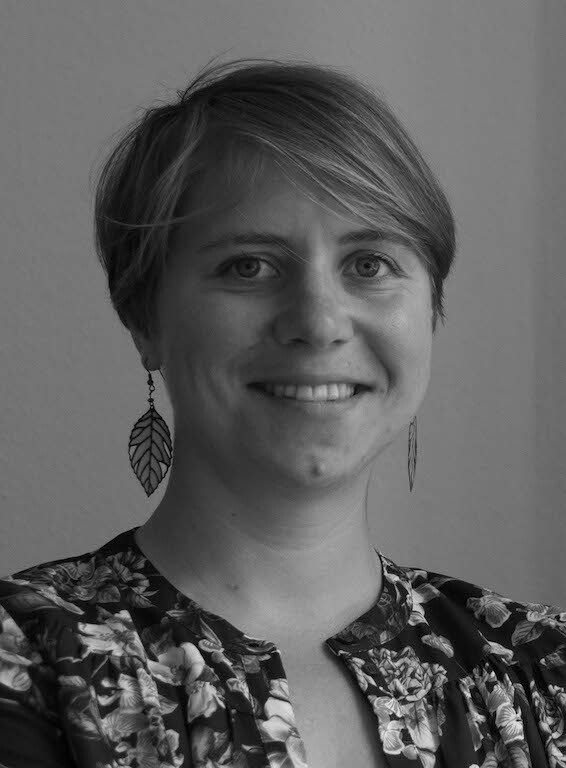 Mascha Gugganig is a social science researcher at the Munich Centre for Technology in Society. She is the principal investigator for the EIT Food project "Cultivating Engagement: a citizen participation forum on vertical farming".